True or false? Fact or fiction? That’s what author Brian Cronin uncovers about some of the comic industry’s tall tales in his new book Was Superman A Spy?…And Other Comic Book Legends Revealed (Plume). Combining the best of revelations from Comics Should Be Good, Cronin’s online column at Comic Book Resources, along with material written exclusively for the book, Was Superman A Spy?… is one of the most entertaining reads on the industry in years. I recently had the chance to interview Brian Cronin via email regarding the genesis of his new book, the writing and researching process that went into it, DC vs Marvel, and more. Andy B: Thanks for taking the time to talk to Biff Bam Pop! How did your interest in uncovering the urban legends of comic books begin? Andy B: How much research was already completed thanks to your column at Comic Book Resources when you started working on Was Superman A Spy?…, and how much was done solely for the purpose of content for the book? Brian Cronin: Half of the content for the book was brand new. So 65 legends. Of the 65 legends in the book that I already featured, though, I did do some extra research just to update them since the time they were originally posted (which was years in the case of some of the legends). Andy B: Tell me about the writing process – how did you go about determining which urban legends to investigate? Once you had your topic, what came next? Brian Cronin: When I first began the column, I literally had a tiny little notebook that I had brought to a legal lecture the year prior, and I just jotted down as many rumors and legends that I had heard over the years. I then set out to prove them true or false, choosing three at a time. That, of course, ran out pretty quickly, but luckily, soon I had people sending in legend suggestions. So typically I’ll start with the suggestion (whether I come up with or if a reader sends it in), find out fairly quickly if I could make a definitive answer and then go to the next legend. Once I have three (two true, one false) I sit down and actually write them. Andy B: As you were doing research for both your column and Was Superman A Spy?…, did you come across any revelations about the characters or the industry itself that surprised you? Brian Cronin: Usually, the things that would surprise me the most were not the stuff that was TRUE, but rather, the stuff that I always figured was true but wasn’t. Stuff like the real reason behind Batman’s yellow insignia, for instance. Andy B: As a bit of a Spider-Man fanatic, I found the stories behind his creation and the issues between Steve Ditko and Stan Lee fascinating. Did you consider contacting either of them to get clarity on the issues between the two regarding the character and why Ditko left the book? Brian Cronin: Not really, because a) Ditko doesn’t like interviews and B) Stan Lee just can’t really be relied on for information. Andy B: You give both DC and Marvel equal time in Was Superman A Spy?…, but I’m wondering which of the big two companies have you found yourself gravitating to over the years most? Brian Cronin: It’s actually reeeeeeeeeally close between the two big companies in the legends, but I’d say Marvel has a lead overall. I’d say that typically comes from the fact that they tend to have more notable characters. 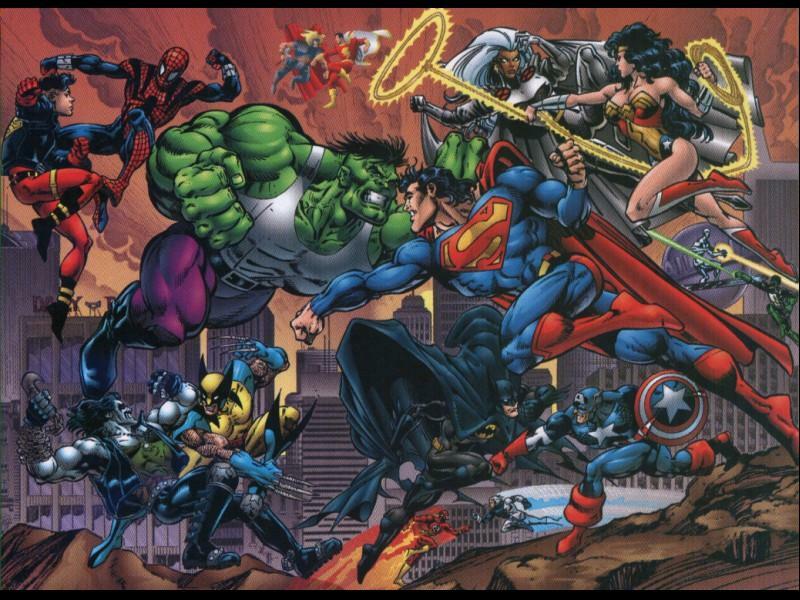 D.C.’s big two characters, Superman and Batman, have more legends than anyone else, but Marvel has more characters who have legends period – Spider-Man, Fantastic Four, Captain America, Hulk, the X-Men, Daredevil, Iron Man, Thor, etc. Andy B: Along with the two sites where people can find you online –Comics Should Be Good at Comic Book Resources and Legends Revealed.com, you’re also practicing attorney. Are there any similarities between the world of law and the world of comics? Brian Cronin: I originally pursued law because I thought it merged my two major interests (and my dual majors in college), English and History. The law required an ability to be able to communicate yourself (English) but also a heavy dose of research (History). And that’s exactly what the column requires, as well – a lot of research but also the ability to communicate that information. Now, if I knew that at the time that you could make money researching and writing about comics…. Andy B: What are you reading right now that you think Biff Bam Pop! readers should be checking out? Brian Cronin: I really enjoyed the latest Seaguy mini-series. Batman and Robin #1 was great. Scalped is consistently excellent. 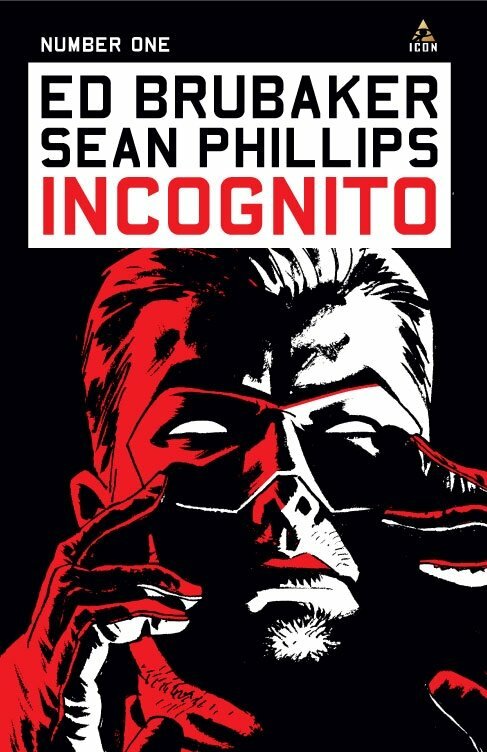 Incognito by Brubaker and Phillips is just as good as their Criminal series, and that’s saying a lot. Tales Designed to Thrizzle is amazing. Daredevil: Noir is surprisingly good. And you can always read more Achewood! Andy B: Can we expect a sequel to Was Superman A Spy?…And Other Comic Book Legends Revealed? Brian Cronin: I’d love to do one if the opportunity ever arose! 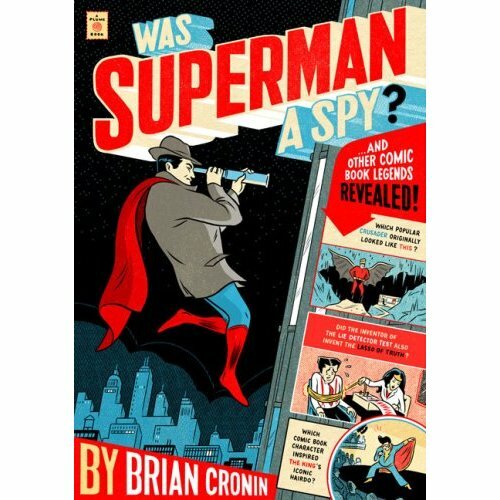 Was Superman A Spy?…And Other Comic Book Legends Revealed by Brian Cronin is published by Plume and in stores now. Thanks to Brian Cronin for his time. Stan Lee is unreliable? Say it ain't so faithful followers! What kind of heinous flakey acts has he committed? Stan has gone on record as saying that he has a terrible memory. Jack Kirby said the same was true for himself.